Netflix’s hit show Stranger Things may be an unlikely candidate for a LEGO model, but builder Andrea Lattanzio is making it look amazing. 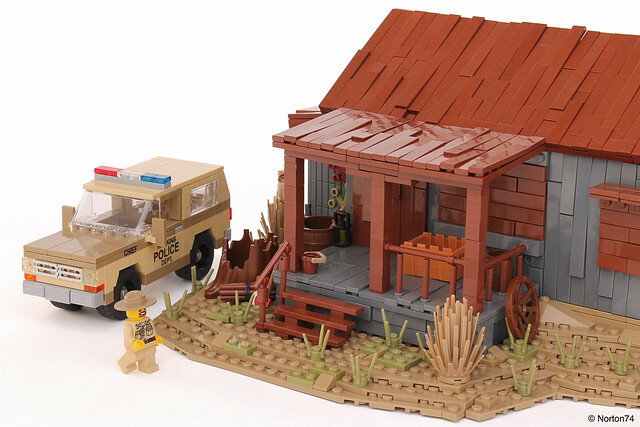 This secluded cabin is the perfect safehouse for Eleven, and the shack’s dilapidated homeliness comes shining through in this recreation, which features perfect architectural details like uneven shingles and board siding (in some places made of sideways masonry bricks). Of course, it wouldn’t truly be complete without Sheriff Hopper and his 1980 Chevrolet Blazer. 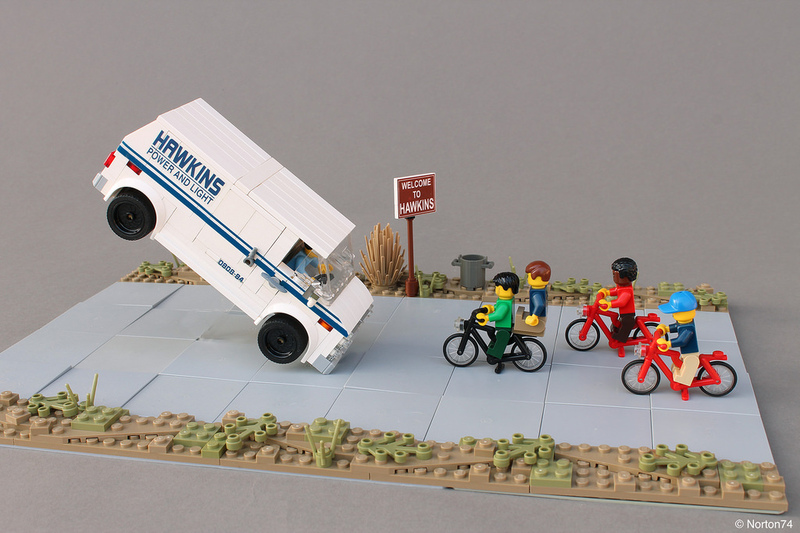 Andrea is a master of realistic LEGO vehicles, and the classic truck’s boxy style works perfectly in LEGO, and tan and dark tan give an authentic paint job for the small-town police department. 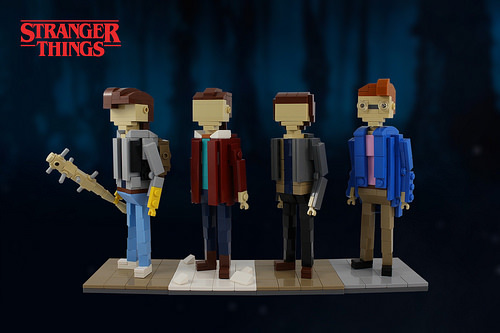 Unlikely though it may be, this isn’t the first time we’ve seen Stranger Things LEGO creations. We’ve previously featured the various heroes in three different scales: minifigures, BrickHeadz, and miniland-scale characters. If there’s one scene that stands out from Stranger Things, this has got to be it. In a plot twist where one would have thought that the bicycles would take flight, instead we had a lovely surprise. With this, the Duffer Brothers wrote the 80s Chevy Van right into movie-making history books by making it fly in this epic escape scene. 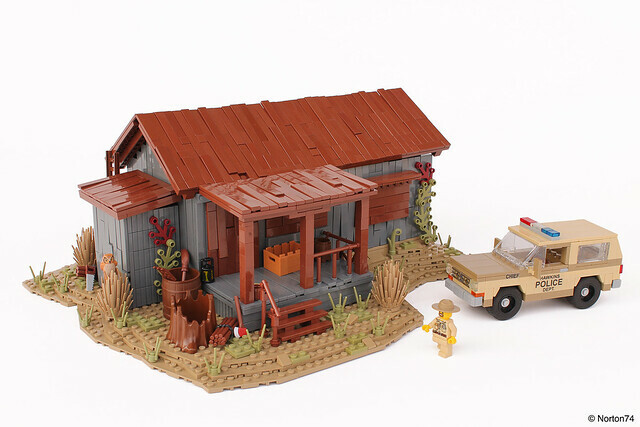 I’ve got to hand it to Andrea Lattanzio in showing that a great scene can be brought to life with the simplest builds, just with LEGO parts on hand. 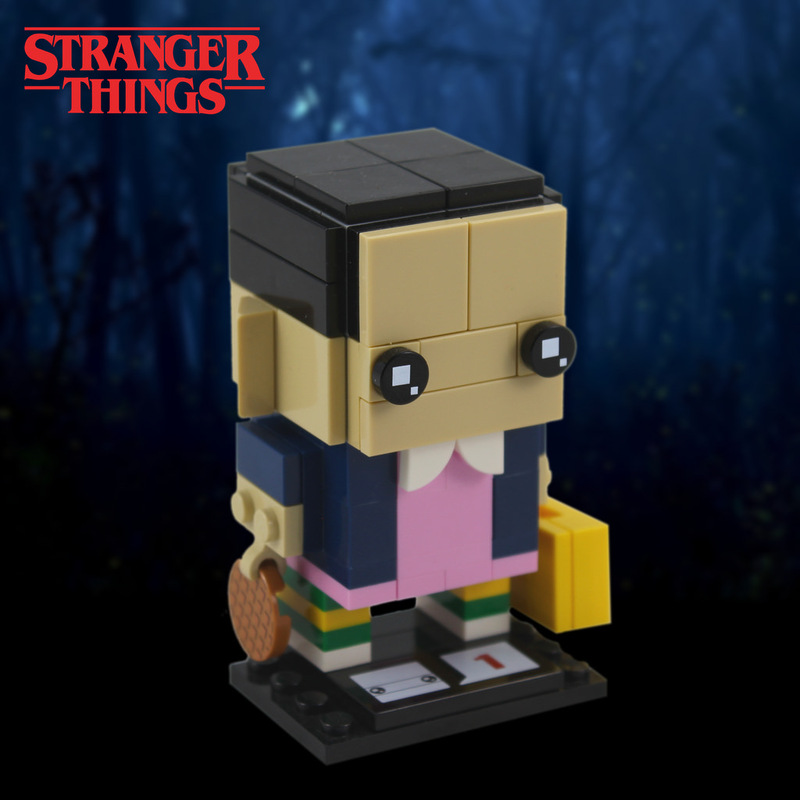 The Netflix original series Stanger Things was an instant cult classic, and has led to a number of LEGO creations inspired by some of its memorable cast of characters, including a tribute to Barb by our own Iain Heath. This latest creation by Casey McCoy features the older teens from the show and they are instantly recognizable versions of their on-screen inspirations. While fairly simple in construction, the models feature some nice techniques in the shaping of clothing and hair. I thought the purposeful miss-alignment of 1×1 bricks to create textured fabric for the pants was very effective. Want to see more from Stranger Things? Check out our previously covered full line-up ofBrickHeadz by the same builder. Stranger Things has been one of my favourite TV series on the screen recently with its throwbacks and references to the 80’s. What makes it really stand out are the cast of characters that bring something unique and quirky to the table. 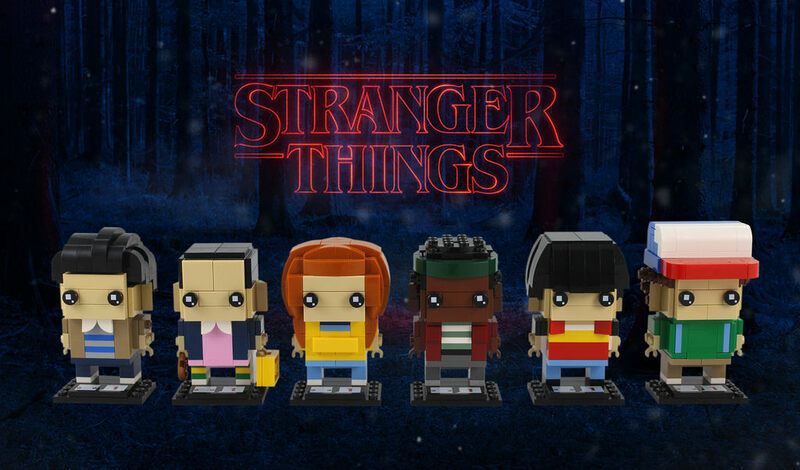 This BrickHeadz lineup by Casey McCoy really brings back great memories and anticipation for the next season to come. In the lineup from left to right, we’ve got Mike, Eleven, Maxine, Lucas, Will and my favourite character, Dustin. The star of the show, Eleven is seen holding on to her favourite snack, Eggo. It’s interesting to know that the Waffle element has only appeared once in the infamous LEGO 70818 Double Decker Couch set from The LEGO Movie theme. All this talk about Eggo is making me hungry – time for me to hunt for some! Little did we know that Barb from the cult following series from Netflix, Stranger Things was ever going to be a star of her own. While the Duffer brothers all thought they could get away with it – the internets would not let her die without a cause or fight. 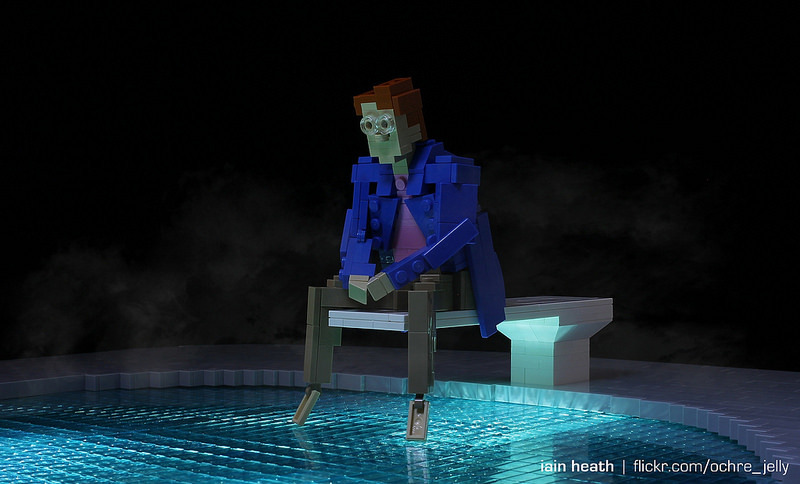 Our very own Iain Heath has beautifully captured her likeness in the iconic pool scene. It captures the essence of Barb’s melancholy and at the same time the terrifying danger that lurks in the dark. Catch Season 2 if you’ve not already done so, we’re not planning on any spoilers but justice has been served for Barb to immortalize her today, at least in Lego form.